We have covered a lot of material in regards to making water safe to drink and cook with. It is essential that you have safe water to use. Without it you will find you and your family sick, dehydrating and facing the possibility of death. But water can be made safe to drink in a number of ways. We will cover those options in this post. In the last post in this series WATER: Part 3 – Removing Sediment Before Filtering & Purifying we learned that it is a pretty good idea to remove as much sediment (particulate matter) from your water as possible BEFORE filtering it. Not only does it assist in the purification process but removing sediment is cost effective and lengthens the life of your primary filter system. Let’s hit on the easiest, most basic first – Heat treatment. Yup, simply boiling water kills almost all the bad stuff that can make you sick or kill you. However, there are some toxins from algae bloom that boiling won’t neutralize so be careful. While there is some debate on how long you must boil the water, it really is far more important that you boil it, than you boil it for a specific period of time. Science has proven that a rolling boil for 1 minute kills most of the bad stuff. But some “expert” sources get into all kinds of complicated formulas. 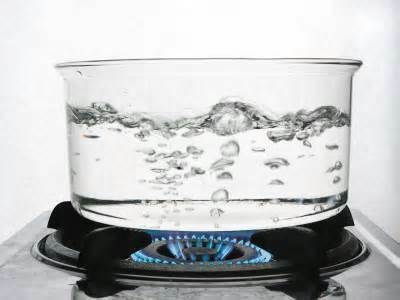 If you want to play it safe just boil your water for 3 minutes; that means a rolling boil (lots bubbles present and bursting through the surface of the water). I would suggest that you filter your water to remove sediment particles before you put the water into a container to boil it. One of my favorite ways to boil the water while in the great outdoors is to use my Emberlit Stove and my GI stainless steel cup. The Emberlit takes far less fuel to bring water to a boil that an open campfire. It is very lightweight, folds flat, and takes minimal fuel to boil water. In testing and in real-life I can bring 2 cups of cold water to a rolling boil in less than 3 minutes and using only a handful of twigs. Combining the ease and efficiency of an Emberlit stove and a GI surplus stainless steel canteen cup makes this method easy and quick if you can make a fire. In a grid-down situation I could have then added the boiling water to my freeze-dried food packet, waited for it to rehydrate and had another 2 cups of water ready in another 3 minutes or less for my hot chocolate. Think about that for a minute and consider just how useful this method using the EmberLit stove, could be for you and your family during an emergency situation or simply camping in the wilderness. 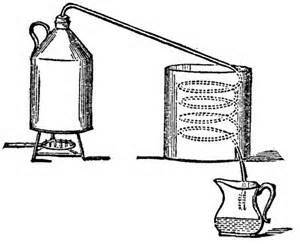 Another “heat treatment” for purifying water is distilling. While I know it works, I understand the physics of it and I have seen it done…I have no experience doing it personally. 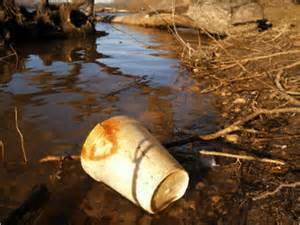 To me it is complicated and potentially dangerous especially compared to the alternatives of filtering water. 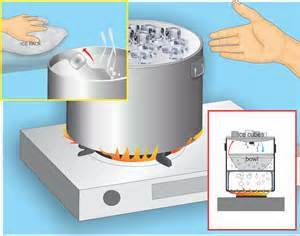 Basically to distill water you heat water until it boils and begins to evaporate. You catch the evaporating vapor (steam) and pass it through a cooling process. The water that you catch from the evaporation process is purified water. I have included graphics showing the two basic systems but I suggest you do considerable research on this method prior to using it. The primary reason that I am not a real supporter of this method, other than safety, is the large amounts of heat required. That means finding enough fuel to produce the heat; that takes a whole lot of precious resources (work, time, and energy). 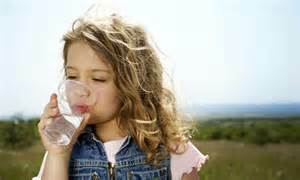 Let’s move on to the next method of treating water to make it safe to drink – Chemical Treatment. The first chemical treatment system is the easiest, safest, most compact and very cost effective – Water purification tablets. 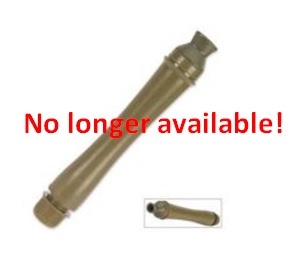 Easily purchased, easily transported, easily concealed and/or cached, and very effective. There are two basic versions of water purification tablets: 1) Iodine based, 2) Chlorine based. Neither are considered 100% effective; and generally speaking Iodine is considered less effective than Chlorine. However, they are both far more effective than using nothing. Used together they are considered effective. Not to be used on a continuous basis. For short term or limited emergency use only. Purification tablets DO NOT kill cryptosporidium. Requires a 4 hour treatment time to kill contaminants. Next Chemical Treatment option is an interesting product on the market called Chlor-Floc. It is currently used by the military. It has an interesting twist to water purification tablets because it also coagulates sediment. Once the coagulation process is allowed to complete then you can filter the water through cloth and remove much of the sediment making the water far more appetizing to drink. That can be particularly important when dealing with children. Think about it. Chlor-Floc contains a combination of flocculation and coagulation agents which promote rapid formation of sediment in treated water (sediment is then removed by straining the water through a cloth). After clarification of the water the chlorine released by the active ingredients is then free to kill giardia, lamblia cysts, bacteria, viruses, and other harmful micro-organisms which are not removed with the sediment. Finally we will touch on common household bleach for the chemical treatment of water. Because bleach can be a pretty dangerous substance to deal with I don’t see this treatment method as one of the top options for me. However, I do use it in conjunction with my water storage. Obviously you start with a clean container. If it is not clean, use bleach to clean it. Make sure the smell of bleach is gone or you are going to have trouble with step 2. Then add your water after you have filtered out the sediment the best you can. Then you simply add bleach to the water. How much bleach do you add? Well, that depends. It depends on the % concentration of your bleach and depends on which “expert” you believe. Opinions are all over the place on this one and it can get confusing. So here is the rule of the thumb – start with 8 drops of 5% or 10% bleach concentration per gallon of water; put it in the jug and shake it around bit, then wait 1 minute. If you can’t smell the bleach in the water add 4 more drops of bleach, shake, let stand 1 minute, and smell again. Repeat as needed until you can smell the bleach in the water. Shake the container for a bit again with the top off and let the container stand with the top off for 1 minute. Repeat until the smell of bleach goes away. Be careful about drinking this water with too much bleach in it. You can suffer considerable health and medical problems if your drink water with too much bleach in it. So my rule is simple – if you can smell the bleach don’t drink the water. If you are worried that there is too much bleach in the water rub a little of the water on your lips with your finger. If your lips “tingle” you might want to wait a little longer for the bleach to dissipate by shaking and letting it stand with the top off. Worse case scenario you may have to let the water/bleach mixture stand overnight. NOTE: Don’t use the new varieties of bleach with fragrances when adding it to water. WARNING – Working with bleach can be very dangerous. Use eye protection and or personal protective equipment as needed and directed by the bleach manufacturer. perfect for “on-the-go” needs. I researched/tested/reviewed several survival straw options. 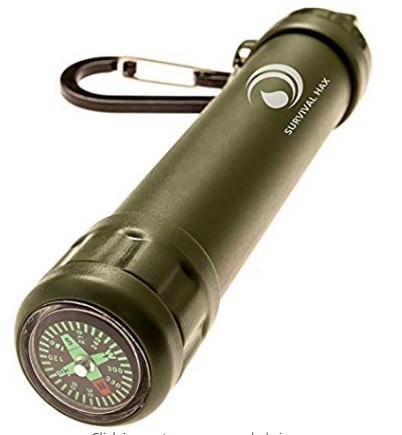 One particular unit called NDuR Survival Straw stood out as a superior option and I love it. I think it is an essential piece of survival equipment. It removes 99.99% – 100% of all the bad stuff including heavy metals. 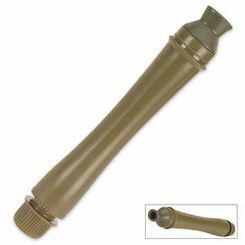 This is a great lightweight, portable, and effective way to purify any water source you will realistically encounter. 25 gal life cycle. There is also a model of NDuR that can remove radiological particles as well. 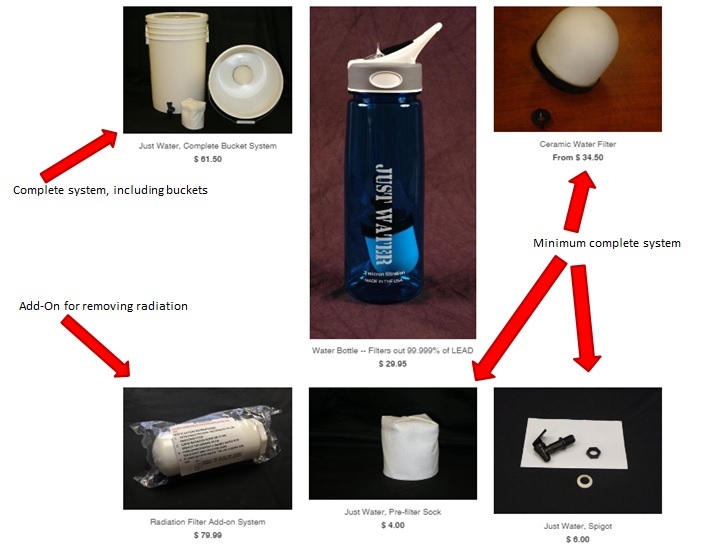 If you are worried about clean water and weight, this is the filter system for you. Even a young child can carry their own NDuR. Less than 7” long and weighs just a few ounces. An acceptable alternative would be a product called LifeStraw or Survival Hax Water Filter Straw. Neither one performs as well as the NDuR. And, neither one filters viruses, chemicals, salt, viruses, heavy metals, nuclear material but it will help provide drinking water for you and your family. This method requires a little more technological savvy, but not much more. Obviously you must have some kind of water source; but it doesn’t have to be clean or safe water, just water. 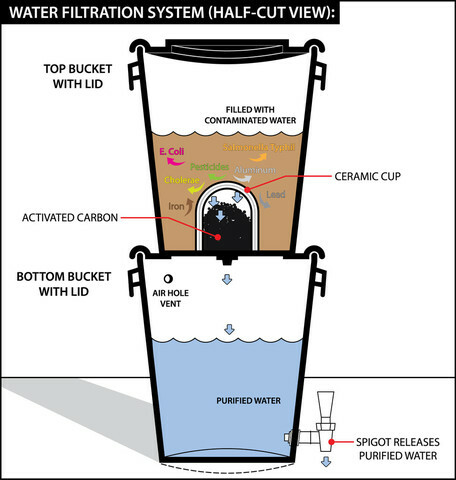 In the better filter units you are essentially removing sediment through two separate stages, then forcing the water through a .2 micron filter and then pushing water through an activated charcoal filter. Some filter units don’t have all the stages but are still effective. Removing sediment first, and the more the better, you reduce the load on the main filter itself by reducing clogging. The activated charcoal stage helps with the purification but it also makes the water taste much better when you drink it. Water is necessary for life; great tasting water makes life way better. Why not enjoy your long cool drink of fresh tasting water? I found the MSR Sweetwater filter to be a great unit for this mission. I can process enough water to supply 4 – 5 people with ease, more if needed. It is very lightweight and easily transported in a backpack. Weighing less than a pound, even a child could carry one. It can easily provide approximately 200+ gallons of cleaned/purified water on a single filter; considerably more if the sediment and silt filters are used. It produces about 1 gallon of water in less than 4 minutes. It removes 99.99% of the bad stuff in water. And it is even effective against water-borne chemicals and toxins. Eliminates viruses (99.99%), bacteria (99.9999%), protozoa (99.9%), organic compounds, and particulate. Meets U.S. EPA drinking water standards and NSF protocol P231 testing standard. Carbon can also reduce tastes, odors, some chemicals, pesticides, and herbicides. Pumps at a rate of one liter per minute. Pump measures 7.5 x 2.75 inches and weighs 1 pound. 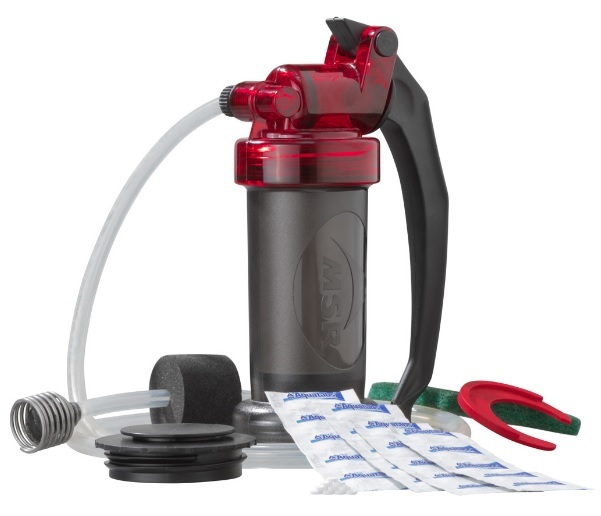 to the Portable Water Filter, but it can produce more water over a longer period of time. I researched/tested/reviewed several larger filtration systems. I believe in and use the Monolithic Marketplace Ceramic Water Filter. It removes 85 – 90% of all insecticides, herbicides, pesticides. It removes 96 – 99% of metals. It removes 99.999 – 100% of all the ugly virus and bacteria junk. It removes 98% of all particles greater than .2 microns. And its production rate is 14 – 17 gallons per day just by gravity. 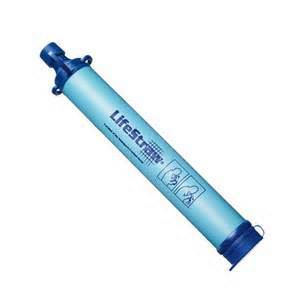 Ceramic filter lasts for 8 – 12 months based on quality of source water and filter maintenance. This system is simple, effective, productive, easily maintained, easy to build, and easy to transport. If I were to make one addition to the system it would be a sediment filter in a 5 gallon bucket stacked on top of the top bucket you see to the lower right. But removing sediment is easy enough. I would add the filtering material as described in the “Sediment Filter” section. I would change, or clean, the material as needed (at least daily, maybe more often). That would keep the ceramic filter cleaner by reducing particulate matter that it has to process. So I hope you have seen more than a couple ways you can provide clean, pure and safe water for your family during emergencies and disasters.